A wonderfully relaxing atmosphere for all. Conveniently located in central New Jersey, steps from the finest beach and boardwalk in the area. Our spacious wraparound porch and backyard deck is the perfect romantic setting. 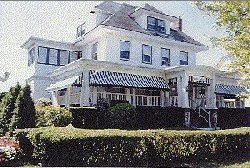 This and other New Jersey Bed and Breakfast Inns can be found here in The Register.